Service is not provided for the CORTRAN Program on New Years Day, Good Friday, Memorial Day, July Fourth, Labor Day, Thanksgiving Day and the following Friday, Christmas Eve and Christmas Day. When Roanoke County Schools are closed, service is not provided. If the service is closed for any other reason, announcements are made on local radio and TV stations. The cost per trip is $4.00. All clients must pay cash or have a ticket. If paying by cash, exact change is required. Drivers are not allowed to make change. Collection of fare will be completed before the client boards the vehicle. Children under the age of six years old, when in the company of an adult, ride at no charge. Tickets can be purchased in advance by calling the Roanoke County Treasurer at (540) 772-2056 for passengers who find this more convenient than carrying cash. Passengers who fail to pay in advance or at the time of boarding may be denied transportation. You will need to call (540) 343-1721 to make reservations. Reservations are taken between the hours of 8:00 a.m. and 5:00 p.m., Monday through Friday. Reservations must be made at least one day in advance of desired transport time. Reservations can be made up to fourteen days in advance of needed time. Please have the following information ready to give to the Dispatcher. Your appointment and return time. Return trips are required to be scheduled when making reservations. The van will be scheduled as per your request and will wait 5 minutes past your scheduled time. Individuals missing their scheduled return time will be charged for that trip and must call (540) 343-1721 to arrange another pickup time. RADAR will dispatch a vehicle as soon as possible without affecting other scheduled pickups. Cancellation of a trip must be made at least one hour in advance of the trip. Individuals who ride the system on a regular basis will be scheduled on routes when feasible. An individual must travel to the same destination and return at the same time at least three times a week to be classified as a regular rider. Regular riders must contact RADAR at least one hour in advance of their scheduled time to cancel any trip or they will be charged. Habitual failure to cancel appointed times can result in suspension of service. As mandated by the Americans with Disabilities Act, RADAR reserves the right to change any scheduled time up to one hour from the time requested. The client will be notified of this when making a reservation. For more information contact RADAR at (540) 343-1721 Ext. 101. 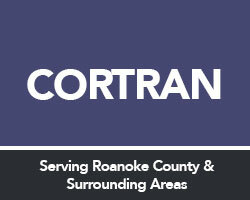 Roanoke County Department of Social Services will be responsible for accepting and processing CORTRAN applications effective January 7, 2019. When CORTRAN receives your application, it will take at least 3-5 business days to process. NO EXCEPTION. Once approved/ denied you will receive an approval/ denial letter,if your application is approved you will received a client identification number, this number is to be used when making your reservation with CORTRAN or purchasing tickets with the Roanoke County Treasurers Office. Incomplete applications will be denied. Companion aides travel free with a client requiring assistance. Individuals who are qualified to be CORTRAN riders cannot be classified as a companion as mandated by ADA. Service provided is Origin to Destination. The driver will provide assistance in boarding and unboarding. At no time may a driver enter a building to provide assistance. Prior approval for RADAR’s vehicle to enter any driveway is required. RADAR maintains this information in it’s client data file. RADAR puts forth every effort to be on time. If our vehicle has not arrived 10 minutes past your pick up time please give our dispatch office a call. Feel free to call us about more information concerning these services.